Public Safety Dispatcher Erika Stroud was recently selected as Texas' best trainer -- ensuring Sugar Land remains safer than ever before. 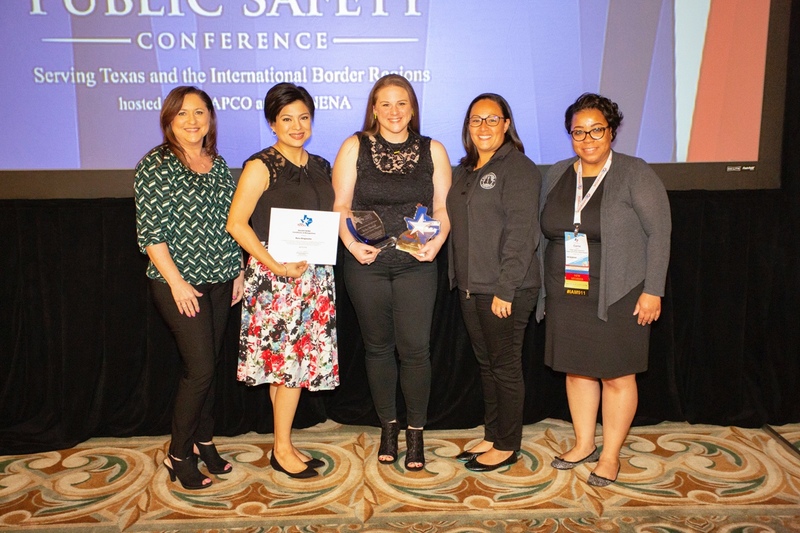 Both the Texas Association of Public Safety Communications Officials and the Texas National Emergency Number Association recognized Stroud at this year's Texas Public Safety conference. "Erika functions as a public safety dispatcher and is cross-trained in call-taking for all police, fire and EMS radio functions," said Public Safety Dispatch Manager Amy Patin. "She performs the duties of a training operator and often oversees shift operations. Erika has high expectations for herself and her team and does whatever work is necessary to keep our citizens and responders safe. She understands the magnitude of our job and always plays a vital role in helping less experienced telecommunicators become proficient in their jobs." With seconds making the difference between life, death and property loss, it's often quick decisions of unsung heroes like Stroud who play a decisive factor in the outcome of emergencies. Sugar Land's public safety dispatchers quickly size up situations and allocate necessary resources to mitigate calls for help. They also provide critical instructions for callers to follow before help arrives. During the last year, Stroud took a lead role on a project to overhaul Sugar Land's public safety dispatch training program and training manual, including adding new tools to help recruits learn the correct codes that make sure the right people and equipment quickly respond to emergencies. She prepares dispatchers to meet the high demands of the job. When citizens call for assistance, Stroud ensures the voices on the other end of the line are ready to help 24/7. Sugar Land trainees often say they learn a lot from Stroud during their time on the dispatch floor. She's known as a tough but respected trainer who prepares her students for the rigors of the job. The nature of a call for assistance determines the type of equipment and personnel needed to respond to an emergency. Stroud makes sure her recruits ask the right questions and all dispatchers understand basic operations of police and fire departments. It's important because their ability to size up situations and allocate the appropriate resources during high stress incidents is crucial during emergencies. Stroud is also a member of the city's Critical Incident Stress Management Team, a group that ensures first responders such as dispatchers have access to post-traumatic counseling resources. "Erika created an interactive mental health wall in our center which included articles, some specific to our profession, about how to keep yourself mentally healthy," said Patin. "Erika has put in a lot of hard work to help make our center the best of the best. These awards come as no surprise to us."